New members make solemn promises concerning their conduct in the Lodge and society. These promises are similar to those taken in court or upon entering the Armed Services or many other organizations. Each member also promises to keep confidential the traditional methods of proving he is a Freemason which he would use when visiting a Lodge where he is not known. The much publicised 'traditional penalties' for failure to observe these undertakings were removed from the promises in 1986. They were always symbolic, not literal, and refer only to the pain any decent man should feel at the thought of violating his word. Members also undertake to not make use of their membership for personal gain or advancement; failure to observe this principle or to otherwise fall below the standards expected of a Freemason can lead to expulsion. Membership is open to men of all faiths who are law-abiding, of good character and who acknowledge a belief in God. Freemasonry is a multi-racial and multi-cultural organisation. It has attracted men of goodwill from all sectors of the community into membership. There are similar Masonic organisations for women. In circumstances where a conflict of interest might arise or be perceived to exist or when Freemasonry becomes an issue, a Freemason must declare an interest. The rules and aims of Freemasonry are available to the public. The Masonic Year Book, also available to the public, contains the names of all national office-holders and lists of all Lodges with details of their meeting dates and places. The meeting places and halls used by Freemasons are readily identifiable, are listed in telephone directories and in many areas are used by the local community for activities other than Freemasonry. Freemason's Hall in London is open to the public and 'open days' are held in many provincial centres. Freemasonry naturally tends to attract those with a concern for people and a sense of social responsibility and purpose. There are members, therefore, who are involved in politics at local, national and international level. Equally there are members who take an active interest in non-Masonic charitable organisations and other community groups. From its earliest days, Freemasonry has been involved in charitable activities, and since its inception it has provided support for many widows and orphans of Freemasons as well as for others within the community. Over the past five years alone Freemasonry has raised more than £75m for a wide range of charitable purposes including those involved in medical research, community care, education and work with young people. Freemasonry has an enviable record for providing regular and consistent financial support to individual charities over long periods while at the same time making thousands of grants to local charities, appeals and projects throughout England and Wales each year. For the future, opportunities to obtain or provide matched funding are periodically examined with a view to enhancing the impact of the support Freemasonry can give to specific projects. 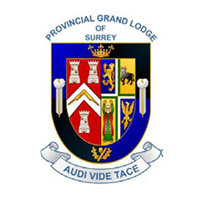 The personal generosity of Freemasons and the collective fundraising efforts of almost 8,000 Lodges, however, will continue to determine the contribution Freemasonry makes within the community. The content of this page is taken from a booklet entitled "Freemasonry: An Approach to Life" issued by the United Grand Lodge of England. Printed copies may be obtained at the address below. If you feel that you have the qualities that make a good Mason contact us for more information. The brethren are given certain tasks to take them up the ladder of achievement, until they reach their goal, the Mastership of the lodge, or as far as they want to go. This helps them to reach their potential and round out their characters. Many of us have had a deep respected for certain men only to find out later that they were indeed masons. © 2009 Cranleigh Masons - Cranleigh, Surrey.